Champoluc ski resort is the largest of the villages in the Monterosa region. It is wide and not that compact as other similar resorts, but everything is walkable and the resort itself is very beautiful with traditional-style houses. Here you can see spectacular panorama views of beautiful peaks and glaciers of Italian Alps. Champoluc is Italian ski resort located in the province of Aosta Valley. 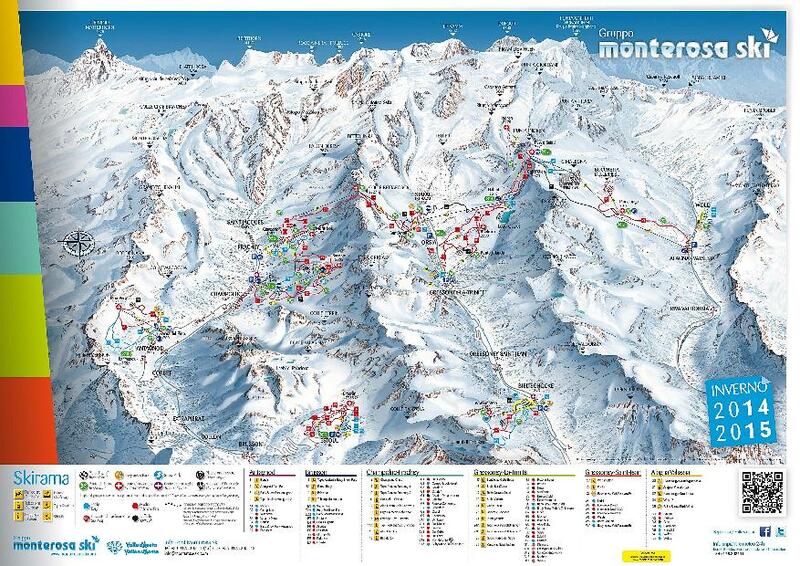 It’s location - the Three Valleys is one of the biggest ski area in Italian Alps. It may be not as known as Dolomiti Superski, but it has gain the word: “Europe’s Best Kept Secret”. The factors mentioned above, results in base-rate for our transfer going down. We do not over-inflate our prices at any time or for any reason. We suggest to our clients - choose to travel in off-peak, off-season and midweek to get the lowest price possible and have the biggest savings. Our midweek prices (Monday to Friday) can be with discount up to 60% comparing to weekend prices. Developing the price, it may also be influenced by vehicle availability, transfer schedule, vehicle utilisation and other costs like road tolls and airport parking charges. Champoluc is perfect ski destination for beginners and intermediate skiers. You will find here plenty of great ski slopes for your entertainment. Champoluc has several great offer for families with kids of all age. The resort has very gentle slopes, fantastic and professional ski schools if you want to introduce your kids to winter sports. There are also winter playgrounds and parks, where youngest family members can stroll down with inflatables or can have fun. Alps2Alps main goal is to offer and deliver high quality transfer services with the lowest possible prices. If you are looking for reliable, punctual and flexible transfer company, you have found the right one. Book your ski transfer early to get the best possible price and peaceful mind. Remember to get touch with our team if you can not find your resort or airport listed in our website or you have any questions. Call us at Alps2Alps, if you want to get your trip to Champoluc off to the best possible start!